The boom of the U.S. economy in the late 1990s suggests that Americans are better off than they were a decade ago, but this is not true across the board and the reason, as James Galbraith explains, is wage inequality. He contends that inequality is not the result of impersonal market forces but of specific government decisions and the poor economic performance they created. 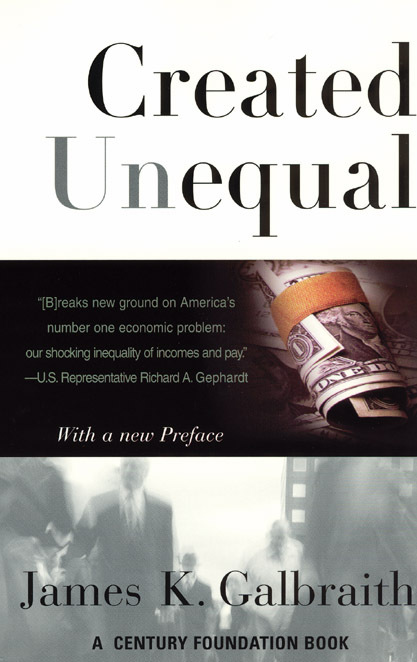 Featuring a new afterword on wage shifts since 1994, Created Unequal is a rousing book that reminds us we can reclaim our country through economic understanding, commonsense policy, and political action.